Description This Norcross, Georgia hotel has an indoor pool, an outdoor pool, free internet access and non-smoking guest rooms. features like Wi-Fi access a lounge a pool and nearby top shopping mean a good deal for our guests at the Garden Plaza Atlanta Norcross. The Garden Plaza is an eight-story oasis complete with a large open lobby and 243 rooms featuring coffeemakers mini-fridges and cable TVs. Guests can also keep up to speed with email via the hotel's Wi-Fi connection. The indoor/outdoor pool is perfect for staying relaxed year-round and there's a gym for helping guests stick to exercise regimens. The hotel also houses a restaurant and lounge and a business center. Parking is free. Located 20 miles northeast of Atlanta the Garden Plaza is a 15-minute drive from Duluth and less than three miles from mega retail fun at the Forum Shopping Center. Outdoor activities at Stone Mountain Park are 18 miles south and Hartsfield-Jackson Atlanta International Airport is less than 30 miles away. Guests are also within one mile of top companies located in Technology Park. 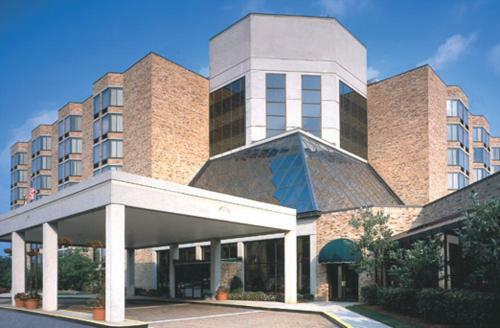 Add Garden Plaza Peachtree Corners Norcross to your free online travel itinerary.